Do you ever fight buying something you know would make your life easier? Sometimes it is a legitimate issue of cost. Other times though, do you find yourself fighting the very tools that would make your life easier, more efficient, or advanced in an area you honestly could use a hand? Very recently, I realized I had been convinced sleep machines and other "crutches" for getting our kids to sleep were evil. Ever since my now almost two year old daughter was an infant, I had been trained to think that any sleep aid was some unnecessary evil. Kids apparently should be able to sleep without room-darkening shades, white noise machines, and all those other items that inundate new moms desperate for some shut eye. But mine didn't. She wouldn't. We tried seemingly every tip and trick under the sun to get our child to sleep during the day...besides use of an official sleep machine. While I don't intend to get into all of the sleep struggles we have faced in our home (that could be a whole blog in and of itself! ), something dawned on me this week that I thought related well. When our new white noise machine arrived and began working immediately for my daughter, I kicked myself I hadn't introduced this item sooner. I had wasted so much time and energy trying to make do without it and trying tons of tools that were wildly inefficient. Once I saw what a life-saver the sleep-machine was (a bit dramatic?! Nah...not to the sleep-deprived! ), it killed me to think I couldn't been using this sooner! Some kitchen tools are like that too. We may have to debate with our husbands if a double oven is really a "necessary" home improvement project. If a fondue pot will be put to use enough to take up space in the kitchen cupboards. Whether our onion goggles save enough tears to justify the seemingly silly purchase. A food processor may seem like an essential these days to eat healthy, but does not having one justify holding you back from creating new, healthy habits in your household? 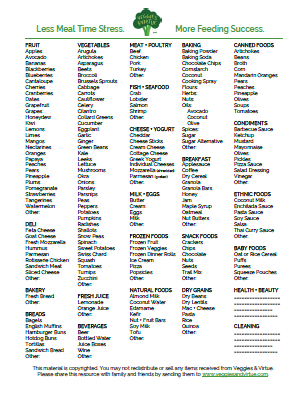 To simplify the list kitchen tools I consider nearly essential for more efficient meal prep, I have created this list. These items are out on my counter almost every time I go to prepare homemade make-ahead meals. In this post, I share my top 10 simple tools for homemade make-ahead meals. Oven-safe: I have long gone to Dollar Tree to buy these. They come in every size under the sun to fit any family size or number of servings needed. All for only $1 per two- to four-pack ($0.25-0.50 each)! Plastic: A good friend and fellow colleague of mine introduced me to these awesome containers. I find them at Costco (but I can't see them online outside of this link on Amazon) for even less-expensive than those at Dollar Tree and they're perfect to make-your-own My Fit Meal. Glass: for weekly food prep, I use these varying sizes of glass bowls with coordinating lids. To me glass containers aren't practical for freezing each make-ahead meal in (because I would need a million! ), but they work well for our family's weekly food prep. Gallon-sized: Use these for make-ahead meals like soups, stews, chili, or items with large cuts of meat that won't fit in quart-size containers like pork shoulder or steaks. Quart-sized: Use these for make-ahead meals like chicken breast that are left whole or cut-down in advance to strips, chunks, etc. Sandwich-sized: Use these for marinades that you can tuck into the quart-size bags of chicken or other items that will need to cook separately and yet belong to the same dish. 3. Sharpie and/or labels: For disposable bags and freezer containers, write directly on the item before filling with food and freezing. If you have an item you intend to reuse (ie. plastic tupperwares or glass bowls), name, date, and list notes on peel and stick labels. 4. Colander and/or Salad Spinner: I use several colanders when washing our weekly produce. Since most leafy greens we buy are pre-washed, I use this salad spinner + insert helpful for items like grapes, strawberries, or those things we may not always be able to find in organic options. A salad-spinner allows me to fill with a fruit and veggie wash, soak in the spinner, and then easily strain afterwards (using the insert). 5. Can Opener: unless you are making everything from fresh or frozen items, keep a can opener on your counter during batch cooking of items like spaghetti sauce, enchiladas, and chili. 6. Spatulas: I recommend at least one small and one large. This may stem from my days of ServSafe training, but I can't help but think about how these tools minimize food waste (ie. waste less $$$) by emptying out containers more completely. 7. Large cutting board: Preparing the less-messy ingredients in homemade meals first (ie. raw vegetables), then move towards those that either leach an off-putting flavor onto the board (ie. onions or garlic) and/or items that need to be washed up after immediately (ie. raw meats). This will lessen how many cutting boards you get out and dirty up in the process of preparing homemade make-ahead meals. 8. Trash Can: keep this out in the area you are doing your meal prep, easily accessible within a step or two, open on top, and empty enough to complete all of your meal prep without having to empty. It seems silly, but getting under the sink 17 times or walking to the other side of your kitchen and stepping to open the lid every time you have an item to dispose of is just silly. Note if you compost, you could also consider a compost container equally-essential to keep on your counter during meal prep. However, I did not include this as a top item on its own as it is not essential to many who do not garden and/or make their own compost. At our house, we like this compost bucket for on-the-counter use. 6. Recycle Bin: as with the trash can, keep this bin out in the open and easily accessible. This will make it all the easier to rinse and dump your aluminum cans and recyclable containers in. 10. Large pot: My mom is the one who actually decided this was an essential for me. When I had her come meal prep with me during my first pregnancy, she had to batch-cook spaghetti sauce in several pots because we didn't have any one big enough to make it all in one. She scored me this large pot, but any of an equivalent size should fit your space needs when making homemade make-ahead meals in large batches. You've read my list of edible essentials for your pantry, refrigerator, and freezer by now. Now I ask you, how well stocked are you with the simple tools listed above? Can you consider yourself well-equipped enough to get cooking homemade make-ahead meals? Keep these top 10 simple tools on hand, especially before you meal prep and/or batch cook. Like a sleep machine has become an essential tools for my non-napping kid, discover how these 10 simple tools are essential for easy preparation of homemade make-ahead meals. For those who may be more-invested and ready to expand their kitchen "extras," stay tuned and see what kid-friendly kitchen items I most adore and use often. I will be sharing my reviews on these items as well as links to buy your own during what may be some awesome Black Friday specials!